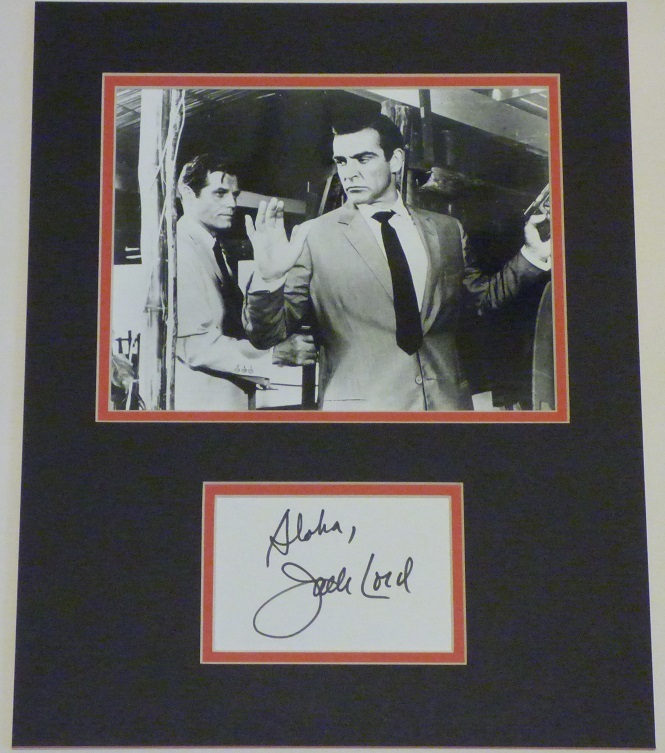 "You Limeys can be pretty touchy about trespassing..."
This great display from the first Bond movie Dr No, features a great picture of Felix Leiter and 007, together with the signature of Jack Lord, who played the role in the film. The display has been professionally double matted to an overall size of 15x12 inches. Felix Leiter has often assisted Bond in his overseas operations. Although Leiter is much less of a field agent than 007, his knowledge and expertise have often arrived for Bond just in the nick of time. Leiter is probably the closest thing that Bond has had to a friend, as shown by 007's extreme reaction to Leiter's injuries in Licence To Kill. Bond's first encounter with Felix Leiter was in the back of Puss Fellers club in Jamaica, Leiter was his contact who supplied him with information on the case. In Dr. No, he assists Bond in Jamaica as he attempts to solve the riddle of the disruption to the American Space Program. 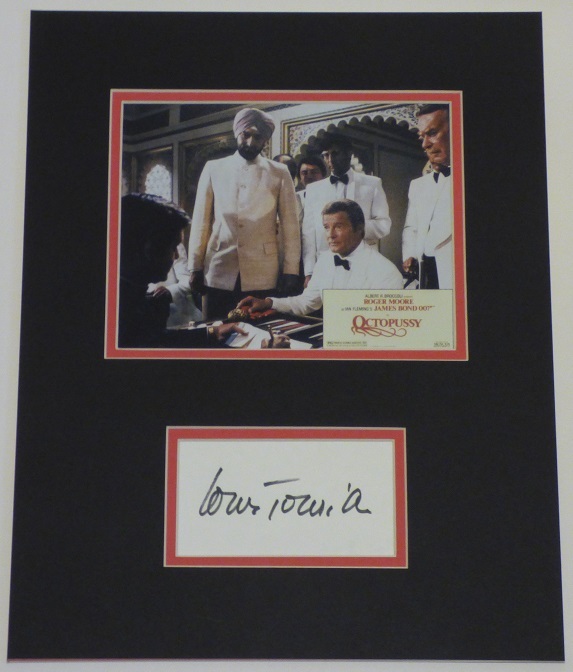 During the Goldfinger missions Leiter helped out Bond by launching an attack on Goldfingers operation. Leiter has been involved in a total of seven missions with Bond. Due to Leiter's involvement in the capture of Franz Sanchez, Sanchez' men ruthlessly fed him to sharks, he did survive but spent the rest of Bond's mission in hospital. Bond avenged his friends by setting Sanchez on fire with the engraved lighter given to him by Della and Felix. In addition to his role as Leiter, Jack Lord will probably be best remembered as Steve McGarett in the long running television series "Hawaii Five-O" (1968), but he was much more than that however. He starred in several movies, directed several episodes of his show, was in several Broadway productions, and was an accomplished artist. Two of his paintings were acquired by New York's Metropolitan Museum of Art and the British Museum of Modern Art by the time he was twenty. Lord was also known for being a very cultured man who loved reading poetry out loud on the set of his TV show and as being somewhat reclusive at his Honolulu home.